It is equally baffling to the global family of IPOB, especially those of Igbo extraction, why a highly educated and respected leader of Ohaneze Ndigbo will publicly equate the demand for a referendum as a call for war. What this demonstrates is that Ohaneze Ndigbo, unlike Afenifere, may have fallen victim to the Ministry of Information sponsored propaganda and smear campaign that a demand for Biafra equals a demand for war. If that is the case, it is very unfortunate indeed coming from a supposedly enlightened people. A call for a referendum is never a call for war. Those opposed to the idea of genuine freedom for Biafra were the people that brought a war to Biafraland through Operation Python Dance, not IPOB. 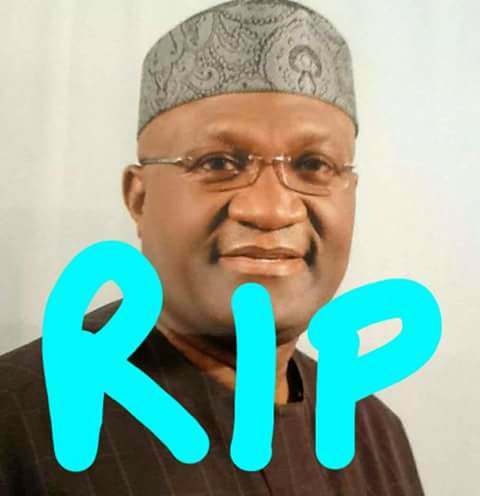 From every indication, Chief Nwodo has confirmed that he was one of those that sanctioned the use of lethal force against unarmed, peaceful IPOB family members gathered at Kanu's residence on the 11th and 14th of September 2017. The likes of Ohaneze Ndigbo should be defending the interest of movements like IPOB fighting for the survival of all oppressed people within Nigeria, instead of conniving with the oppressor to unleash mayhem and death on their own. Chief Nwodo's open acknowledgement during his speech at the National Stadium Surulere that he would sabotage Biafra again is a demonstration of the highest level of cowardice which our oppressors will read as a sign of weakness at the heart of Igbo leadership. What he has succeeded in doing is to embolden Hausa Fulani into believing that Igbos are their slaves. Such uncharacteristic display of impotent leadership in the face of political, economic and social emasculation of an entire race by this present regime of Buhari, should not be associated with anybody claiming to be the leader of Ndi-Igbo.